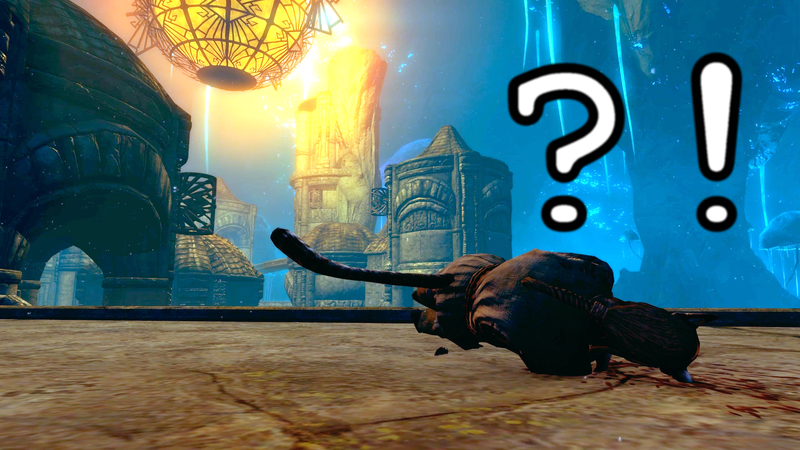 Home » Post-types » Bloopers & Glitches » Will a Khajiit’s tail wag after it’s dead? “Of course it doesn’t. It’s dead, you dummy”. A recent, surprising discovery proves these naysayers wrong (or at least that they are not entirely correct). It turns out that the tail will keep wagging if the Khajiit hits its head in a particular way. Here, for the first time, witness a particularly unfortunate cat. The scientific explanation is not complete, as of yet. One working theory is, because of their high skooma intake, some neural pathways are still stimulated – and fueled – by moon sugar residue in the body, making the tail muscles contract repeatedly in a spastic motion. Even postmortem. I moved the corpse, for purely scientific purposes, to a steaming, fresh pile of skooma. 2 Comments on Will a Khajiit’s tail wag after it’s dead?